There is not hard and fast answer to the question of confronting the other person when you discover your spouse is having an affair. However, here are 10 guidelines that will help in answering the question of confronting the other person. A special welcome to new subscribers from Otto and Susie Collins. 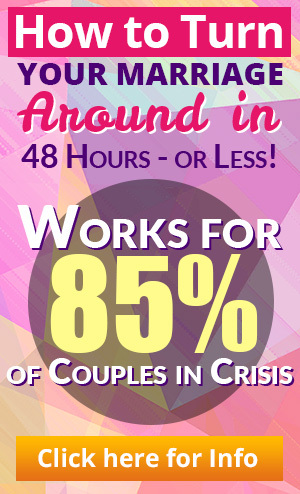 You are receiving the Break Free From the Affair Newsletter per your double opt-in request. Wishing you the best. Should I confront the Other Person? 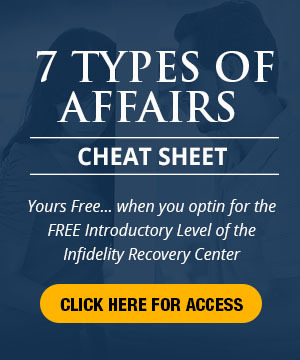 Here’s a touchy topic that often runs through the mind of someone discovering infidelity. 1. If s/he is involved in the affair “I fell out of love and just love being in love,” I suggest you refrain from talking to the other person. It will most likely intensify the drama which gives them their juice. 2. The same may be said for “My Marriage Made me Do it.” In addition to the juice for the “My Marriage Made Me Do It,” your spouse is often controlled by his/her anger, projects it outward – toward you. Confronting the other person may justify and intensity his anger targeted toward you. As well, s/he probably is oppositional – no one is going to tell me (us) what to do. 2. There really is no need to talk to the third party in the “I need to prove my desirability” affair. This often stalls the healing process. 3. No need to talk to the third party in “I Can’t say No.” Words, conversations and the need to persuade are highly ineffective. 5. In the “I Want to be Close to Someone, but can’t stand intimacy,” one often has the best chance of a successful encounter with the other person. It sometimes breaks up the impasse, especially of a long-term affair, and creates movement that leads to resolution. 6. Sometimes the other person is itching for the opportunity to talk to you – hoping to drive a wedge between you and your spouse to end the marriage. A male other person by mistake (yeah, right!) called the office of the husband. He profusely apologized, stating he was trying to call the home to talk to his wife. It became obvious in the conversation that he was having an affair with his wife. 7. If sexually transmitted diseases are an issue, it is wise to contact the other person, if at risk, but stick to the topic at hand. Short and to the point. 8. On the whole, talking to the third party is risky. You see, affairs are built upon triangles of people. Typically intense interaction (usually not very healthy) amongst these three individuals keeps the affair alive and energized. Stating your position strongly to your spouse and refusing to react to this negative energy gives the best and lasting hope of resolution. 9. If you intend to confront the other person, have a strategy. Have a plan. Know what you will say and why you will say it. Above all, charge neutral (a difficult but terribly important skill.) Have an exit strategy – how to end the confrontation. Ok, is this helpful? But, now I would like your input. If you have had experience confronting the other person, I would like to hear your thoughts. I want to do some research to learn more about his topic, since there is not much out there. You are the experts. Remember, others can learn a great deal from you. You have much to give! I’m giving you a link to a survey where I want you to tell your story. Respond to some basic questions. Leave out names and anything that might identify anyone. I probably will use parts of the stories to help others sort out this issue. Please help out, won’t you? I appreciate your input, believe me!